Zheng Jianyi, a graduate of Sun Yat-sen University in China. In university he majored in Digital Media Art. After graduation he went in for interaction design. Later he changed his job and became a PM. Up to now he’s had 5 years’ experience as a product manager. As we all know, for most of the PMs and designers, design tools like Axure and Mockplus is indispensable. However, when it comes to “Design with pen and pager, or design with tool, which is quicker?”, there’s always a dispute. Let’s listen to Zheng’s opinions. Zheng: The answer should be made in a case-by-case basis. In the early stage of design, I mean, when everything is in your mind, pen and paper work better to sketch. But when you output the final deliverables, you have to build wireframes and interactions with software, like Mockplus. 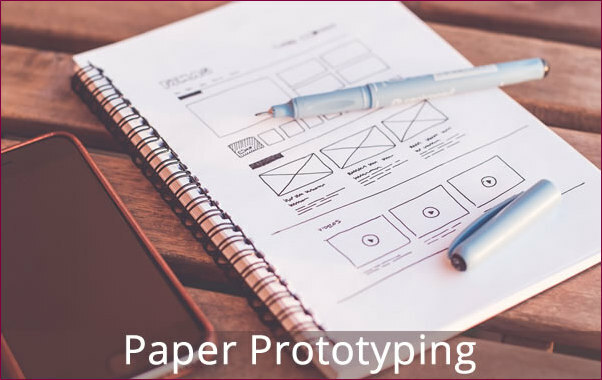 Especially when you are a team of more than 20, design tool is very important for you to produce electronic files even if the pages are simple, otherwise you have low efficiency. Doris: Some people believe that design tool restricts the design ability of PMs. How can they make full use of tools without being restricted by it? Zheng: That’s easy. As long as you know what you want to achieve when designing a product, that is, what is the real demand, you know how to make interactions and flows and what is the best to your users. The question of “restricted by tool” is usually put forward by newbies, since you can hardly be restricted by your tool when you has chosen the right one. Zheng thinks that design tools are important in the design and development of product. And as long as you find your right tool, you won’t be restricted by it. Communication plays an essential role in many industries, especially when you are a PM. Doris: How do you communicate with your team efficiently? Is there any trick? Simply speaking, be sincere and don’t put on airs. Make your plan refined. Be dutifully when follow up the development and test works. Don’t pass the buck. Share with your team the vision of products and achievements you have made timely, and you will have a united team. Tricks are not the most important. They can only be icing on the cake. The core is the plan, your attitude and sense of responsibility. Doris: Have you ever been troubled by communication problems in your work? How did you solve them? Zheng: Of course, I have met communication troubles. The best solution is to convey the logic of your decision clearly to your team. If someone of them still doesn’t accept it, make it clear that PM is the one who make decisions and take the final responsibilities. You don’t have to persuade the colleague every time since for some people they never accept it; otherwise you will get low efficiency. That is a professional quality. If you have disagreements with your boss, you can talk with him. But if you cannot change his mind, just carry out what he said. Don’t be the one who lowers the efficiency of the whole team. Zheng believes that when communicate with your team, tricks are not the key. Conveying your ideas clearly is the precondition of successful communication. The quality of your plan, your attitude and sense of responsibility is the core. Doris: You are trained to be a designer. Besides, you have rich experience in product design. However I can see your preference to startup when seeking employment. Could you please share with us the reason. Zheng: There are pros and cons whether you work in a startup or a mature company. The reason I prefer startup is that I have more chances to make my decisions and participate in affairs in a startup. A good PM should be truth-seeking. They should think about the relations between things and logic of a product and practice their thoughts constantly in work. In a big company, it’s hard to do these, since there are a lot of report and decision-making procedures. In other words, you have to dance with shackles. I don’t like that. Doris: There’s no denying that PMs and designers are both energy-consuming work. How do PMs to improve themselves if most of their day is devoted to work? Zheng: If most of your day is occupied with work and you have little time to learn other things, I suggest that you don’t waste more time thinking about how to make self-improvements by learning other skills. What you should think is how to do your work better. You’ll learn a lot from this. However, if you found your life is filled with that kind of work, which doesn’t push you to “think”, you’d better change a job, since you never get improvement in this work. Doris: What’s your opinion on the career planning of PMs? Zheng: It’s hard to make long-term plan. The career paths of a PM are very clear. They could choose to be a product expert, an agent who do business, or change their jobs. The former two requires a PM to be master of his job. If you want to make a plan, make clear which stage you are in, and how to reach next stage. For instance, the focus of new PMs should be learning to use tools skillfully; know as much as possible about the design specifications; make sound plan. For those senior PMs, they should additionally think about demand planning and the training of junior PMs, and how to lead them to achieve the goals. Doris: What do you think is the happiest moment as a PM? Zheng: You cannot always expect for a big achievement, since that only comes out by accident. It’s rare that you have made some right decisions in a new version and the data surprise you immediately. Product needs to be refined constantly. What you got are mostly small improvements. When I saw the data became better and better, day after day; when I heard people talking about our products and solving their problems with them; when I knew that other members in the team have full confidence in our product, I feel happy. Users Demands: Why Users Want to Know Stories Behind a Song?